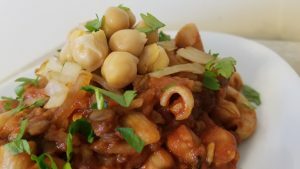 Koshari is the national dish of Egypt … and deservingly so. The texture, the aroma, the taste … it’s something that needs to be internationally recognized. So until that happens, we’re going to pay homage to it here on our blog. The “thing” that makes Koshari so delish is the accompanying spice mix: Baharat. This fragrant mixture is made up of only 8 ingredients, but it makes a powerful impact. Baharat is a very common spice mix in the Middle East. 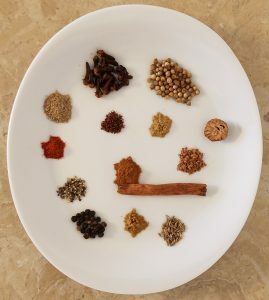 This recipe is for a basic spice mix. If preparing a Turkish dish, add mint. You can also use this spice mix in a variety of ways. Add olive oil and lemon juice to create a marinade. It can also to used on a wide-range of foods like chicken, lamb, and seafood. 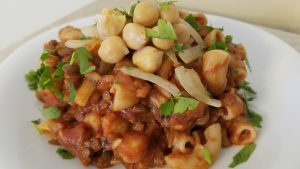 This marvelous spice mix is what makes this classic Egyptian dish the star of the country. 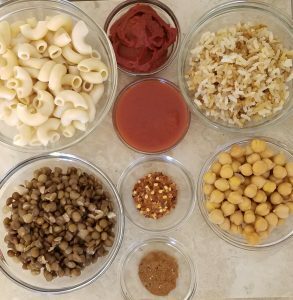 So we’ll just keep making Koshari with Baharat until it’s recognized as an international treasure.